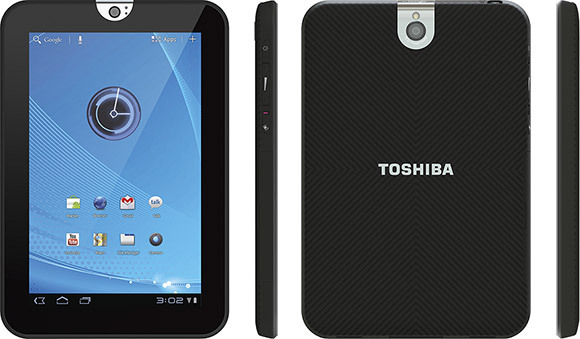 The Toshiba Thrive 7 is a 7-inch tablet computer released in December 2011. WIth a dual-core 1GHz A9 CPU, it’s quite a powerful one, outspeeding many of the leading tablets of the season. If you own this tablet and have started to notice sluggish performance, unresponsive programs or other problems, it may be time to perform a factory reset. To hard reset the Toshiba Thrive 7 takes very few steps and is easy to do, but there are several details to consider before moving on with the procedure. The Toshiba Thrive 7 comes with either 16 or 32 GB of internal storage, as well a MicroSD card slot that offers an additional 32 GB. It features dual cameras (with a respectable 5 MP on the rear camera) and a score of applications for handling all the data, documents and files that you need to keep with you on a daily basis. It’s important to note that while the factory reset procedure can fix software problems in your operating system and make your tablet run smoother and more efficiently, the process will delete all of your personal data, wiping the hard disk clean entirely. For this reason, you’ll want to make sure you have a recent back up handy, and that the MicroSD card is not inserted at the time of reset. Touch the Apps icon, then go to Settings. Tap on Privacy, then on Factory Data Reset. Enter Reset Tablet, then Erase Everything and wait while the Thrive resets itself. Start with the tablet off. Hold the Volume Up button and then the Power button. Release the keys when the tablet starts up. Of the three icons displayed, choose the middle one (the box with an arrow pointing out). On the next screen, choose Wipe Data/User Info Clean, hit the Power button to enter and let the tablet reset itself. Once the tablet finishes resetting, you can set a new PIN and restore your backup to get your applications, user info and other files back. Having reinstalled the operating system, any software errors that may have accumulated in your hard disk should now be gone, allowing you to extend the life of your tablet computer.